You’ve got a big work project on your desk, and a team of people involved in it – where do you start to tackle this beast? 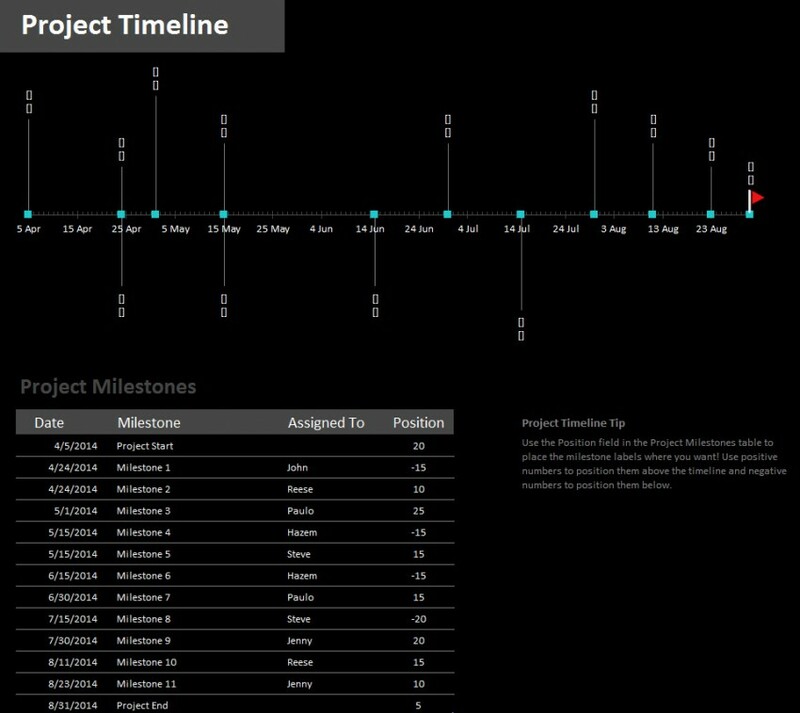 Our Milestone Project Timeline template should be your first stop in getting this task done. 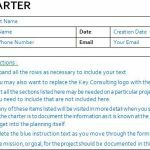 Visually track each part of the project and who is handling it with this easy to use template. 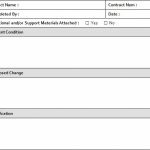 Download the template and open it into Excel to view the pre-populated one page timeline. Begin by renaming the “Project Timeline” text in the upper left corner to fit your project’s name. The timeline itself cannot be edited directly – instead, the columns below will automatically update the timeline as you change them. Move down to the columns and start with the dates. Enter in your project start date, deadline, and the dates in between. Use dates in increments of fives, or go by weeks. Add or delete columns as needed. 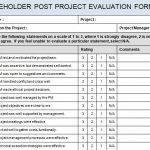 Next, move onto the Milestone column and begin renaming them to fit with your project. For instance, if you are creating a new insurance plan for your company, milestones could include agreement signings, insurance distribution, and cost projection completion. In the “Assigned To” column, add the names of anyone involved in hitting the milestones. If it’s just you working on the project, you can leave these blank. Finally, choose how the milestone will be portrayed visibly. For instance, the first milestone could be entered as “5” to automatically place it above the main line, but not too high up. The next milestone can be entered as “-15” to put it below the main line at a longer length. Positive numbers move milestones to the top, and negative numbers move them below. The larger the number entered, the longer the line will be vertically. As you enter these position numbers, the chart will automatically update itself to reflect your changes. You can make the most important milestones the longest to stand out, or only put certain people above the line. The visualization of your milestone project is completely up to you with this Excel template! Click the link below to download the Milestone Project Timeline template and begin organizing your next big project.